The Russian Ministry of Defense (MoD) placed an order for two battalions of the third-generation T-14 Armata main battle tank (MBT) and one battalion of the T-15 heavy infantry fighting vehicle (IFV) in December 2017, according to Russian Deputy Defense Minister Yuri Borisov. 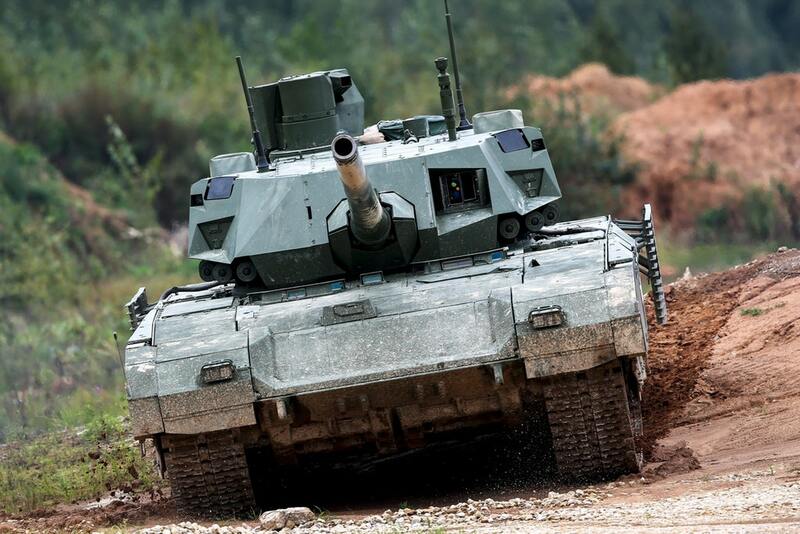 Both the T-14 MBT and T-15 IFV are based on the “Armata” universal chassis system, which serves a platform for as many as 13 different tracked vehicles, including a self-propelled artillery platform, and an armored military engineering vehicle. “It’s no secret that we already have a contract for trials and combat operations: two battalions of Armata tanks and one battalion of heavy infantry fighting vehicles,” Borisov said on February 9, as quoted by Jane’s Defense Weekly. A Russian tank battalion consists of around 40 main battle tanks, excluding support vehicles.